Back at CES 2014, Intel revealed a number of technologies aimed towards the wearable market. Along with an interesting wireless earpiece technology called Jarvis, the company also showed us its SD card-sized “Pentium class PC" called Edison. Intel said the chip was going to be based on the wearable focused Quark SoC, but now appears to have changed direction for its mini WiFi and Bluetooth supported PC. At the time, Edison was set for a mid-2014 release and geared at allowing Intel to help other companies bring wearable devices to market. During the show they showed off the tech being used to wirelessly monitor a baby's temperature and breathing via its "onesie." 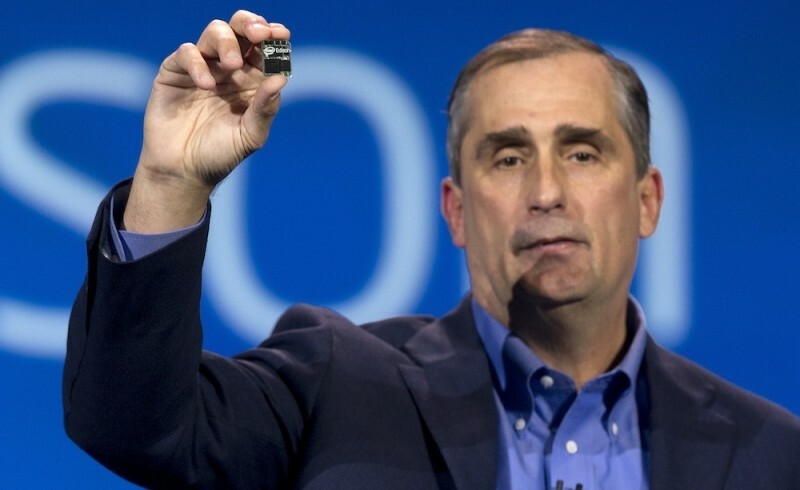 Instead, Intel has announced that it has dropped the Quark tech for Edison in favor of a more traditional Atom chip. This is very much like what we see used in Windows tablets, and will leave Edison with a "slightly larger" footprint than Intel initially revealed. Intel said it received a positive response from wearable and IOT (Internet of Things) companies after Edison was introduced, but that it has decided to go with a 22nm Silvermont dual core Intel Atom SOC because it will "best address a broader range of market segments and customer needs." The Atom based model will bring extended I/O functionality, deeper software support and better overall performance. While this version will be bigger than we first thought, it is unclear exactly how much larger it is than the model shown by Intel CEO Brian Krzanich at CES. It sounds as though Intel still has a Quark based model in the pipeline and that the Atom version is simply the company extending the Edison line of products. We are yet to get an official release date or pricing structure from Intel on either model, but reports suggest we will see the Atom version hit this summer.